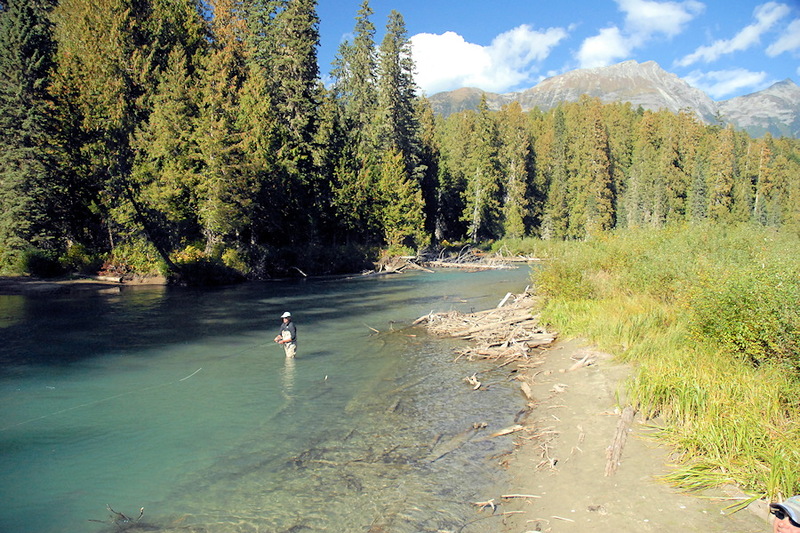 For many of us, exploring new river systems is the primary reason we are fly fishermen, and our eco-system boasts several of British Columbia’s premier trout rivers. By jet boat, pontoon boats or drift boats, let one of our licensed guides take you on a stretch of water you will find hard to forget! Our favourite river fishing adventures are on the Horsefly River by drift boat, and the Mitchell, Cariboo and Quesnel Rivers by Jet Boat. Our river season starts in mid July and lasts through September. July can deliver outstanding Rainbow trout dry fly action with caddis and hopper imitations. 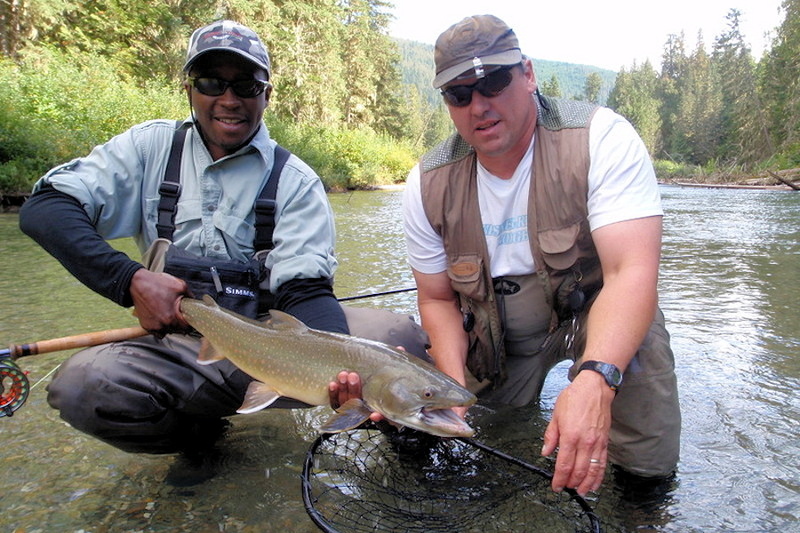 Some large Bull Trout are also caught. As the summer progresses, large Rainbows from the lake will be present waiting for the huge returning runs of sockeye salmon. By late August these waters are congested with spawning salmon. In late August, and September, the spawning salmon are arriving. Big Rainbows from the lake, and resident Bull Trout are also in the rivers to feast on the nymphs freed from the river bottom through the act of redd building, and to gorge themselves on salmon eggs and eventually decaying salmon flesh. This means that for the fly fisher, this can be the best chance to catch a trophy rainbow in a our rivers. 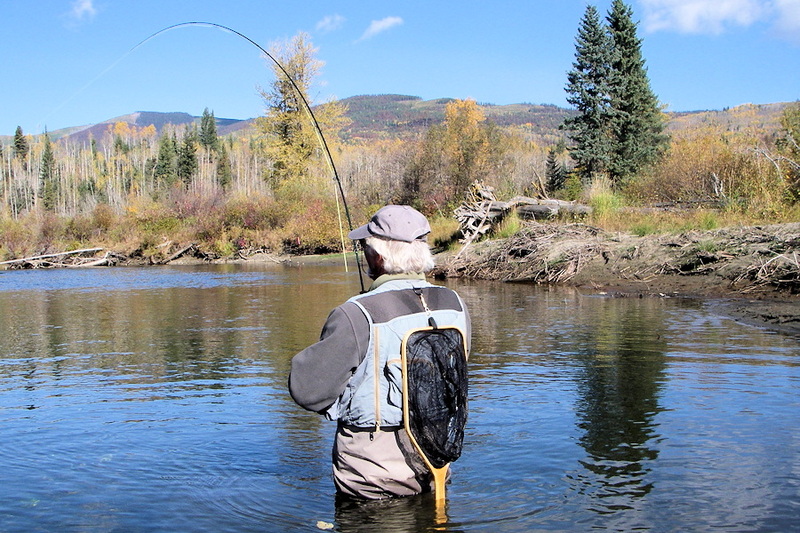 Book day trips with one of our licensed fishing guides on some of BC’s best wilderness rivers; Horsefly River, Mitchell River, Cariboo River or Quesnel River. You’ll have access to primet locations and the wisdom of a licensed guide. Prices includes guide, boat & gas, flies, professional fly fishing and casting instruction and a hearty packed lunch.